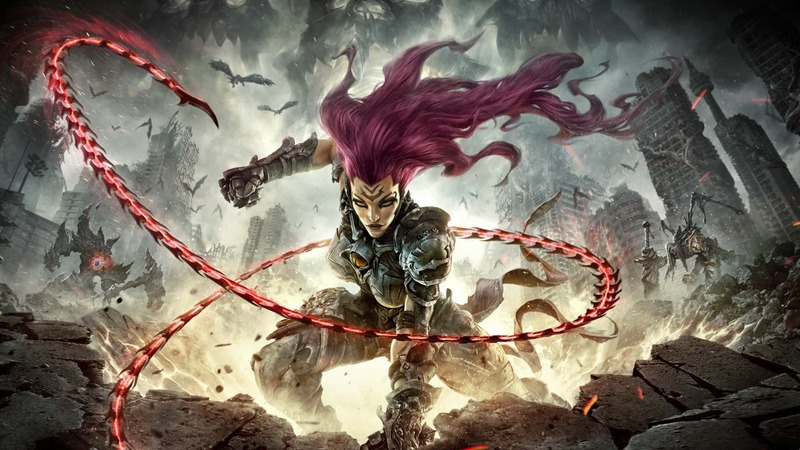 Gunfire Games’ Darksiders 3 has received a concrete release date following a recent leak on the Microsoft Store. Since then, we’ve been receiving more trailers showcasing the abilities of Fury, one of the Four Horsemen of the Apocalypse after War and Death from the previous two games. The latest gameplay video arrives courtesy of IGN, and provides a longer look at the combat and environments. Check it out below. In the video, we spot Fury interacting with a merchant to purchase items and level up. Her weapons include whips and magical abilities, along with a good amount of agility. Side-stepping attacks and immediately retaliating with mid-range combos seems to be Fury’s speciality. We also see her engaging with a larger insect-like enemy, baiting its attacks and then striking when it’s stunned. Overall, there’s a pretty healthy mix of puzzle solving, combat, and exploration. The developer is seeking to integrate each area together to create “one massive dungeon” and a “much more organic world” as a whole, hopefully making for a better-paced game. Darksiders 3 will be releasing on November 27th for Xbox One, PS4 and PC.